Every need for your Halloween celebration can be found at Party America. Themed or solid color tableware to complete the feel of your Halloween party. Scene creating accessories like fog machines and strobe lights take any event to the next level. 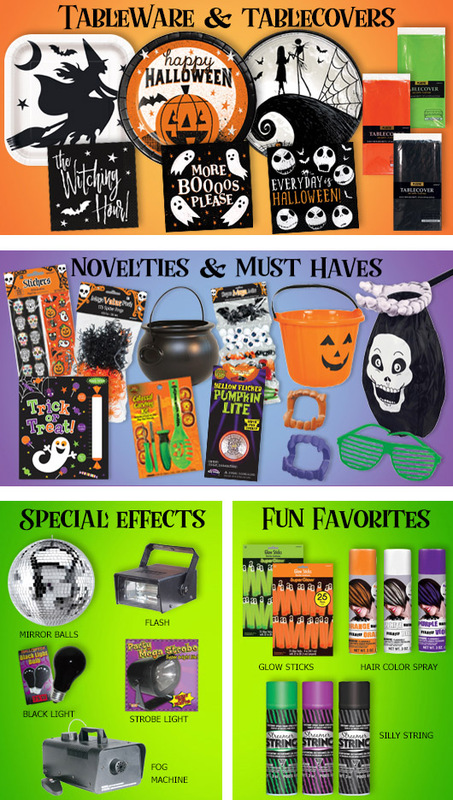 Favors, treat bags, and more so make Party America your one stop shop for all things Halloween.